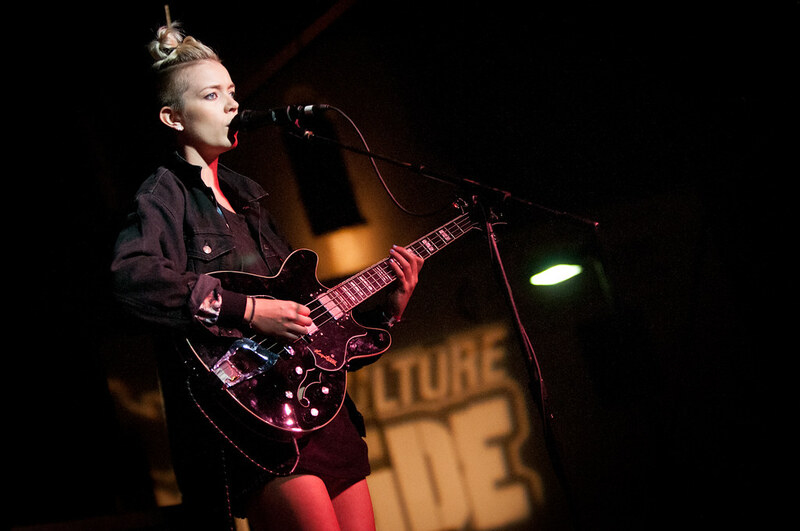 For five years, Culture Collide has been a staple in the Los Angeles music scene, giving artists from around the world a backdrop to perform for music lovers curated by music lovers. Unique in a way that it doesn't get the headlines as it's more well-known cousins, Culture Collide is the music fest where you can see bands before they head out and play the likes of Coachella or Lollapalooza - ie: MØ, Icona Pop, Phantogram, CSS, Phoenix and Clap Your Hands Say Yeah - all alums who have had their early beginnings at Culture Collide. Over 60 Bands from over 20 countries descend on Los Angeles for three days every October to celebrate music. Held on October 16-18, Culture Collide celebrates and brings together musical acts from across the globe to perform in clubs and intimate venues in a five-block radius of Echo Park that culminates in an all-day block party to close out the festival. 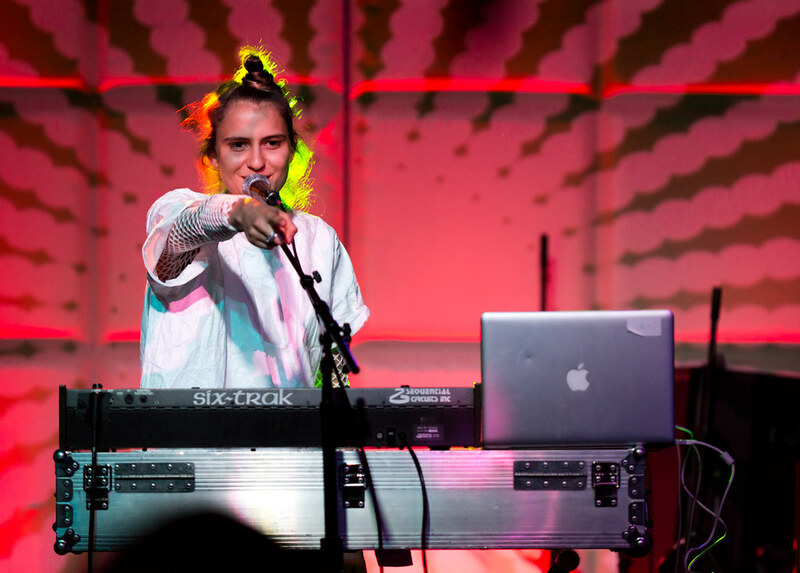 As usual, the contingency of female-fronted bands was strong, all traveling from places ranging from Peru, Australia, New Zealand, Canada and the U.K.
MØ kicked off Culture Collide at The Echoplex which also featured openers, LA's own Holychild. MØ 's skyrocketing career has risen super fast, like a V2 rocket flying on all cylinders, since she released her first album last year. Since then, she's been touring Europe and the U.S. non-stop; even making her U.S. television debut on Jimmy Kimmel Live. Described as a punk, hard-edged Grimes, the Danish singer's synth pop-songs are contrasting at times; from heavy and aggressive to soft and vulnerable. 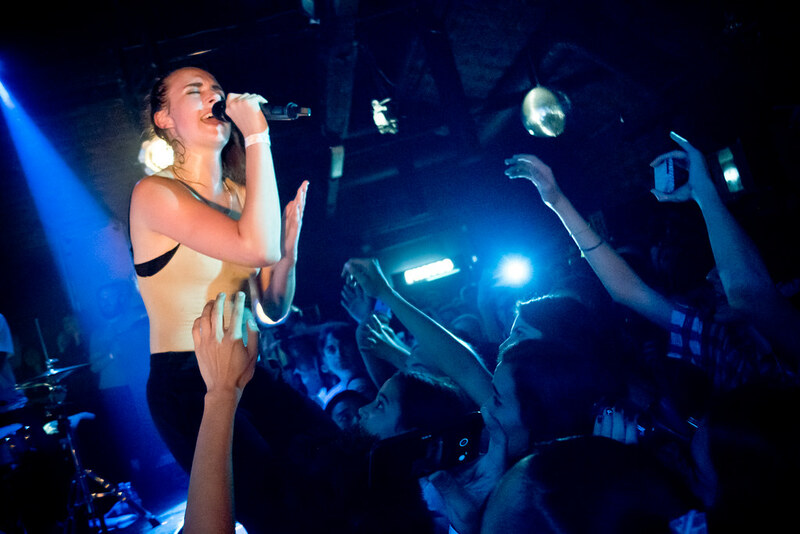 But one things is sure, MØ's is quickly gaining a reputation for her explosive stage presence and she's known for getting close with her fans; this night she jumped and sang in the crowd and crowd-surfed twice! Just this past week, she performed on SNL alongside Iggy Azalea for her new song "Beg For It" and just this past month, she was featured in Swedish singer Elliphant's new video for "One More." Expect to hear and see more of MØ in the upcoming months. MØ’s opening act, LA-based Holychild are the new kids in town, livening up shows with their pop-dance tracks. Lead singer Liz Nistico, dressed as a cheerleader didn't need much to pump up the crowd in her cheerleading uniform. The hometown crowd danced and sang along as though Holychild were the headlining act. Los Angeles' Holychild cheers up the crowd. at The Echoplex during Culture Collide. Recently featured by Buzzbands LA as a band to watch, Holychild turned heads with their single "Happy With Me," set to marching beats and anthem-like choruses. With bouncy pop-ness with real messages, this duo consisting of Nistico and Louie Diller are no fluke. The EP Mindspeak isn't just an album which is forgotten once the summer is over. Based on their performance on day one of Culture Collide, Holychild are here to stay. Day two of Culture Collide treated fans with a mixture of electric-pop, acoustic and alternative rock. Australia brought a strong contingency of artists including Banoffee who seemed tiny as she stood alone on the Taix stage surrounded by speakers and high keyboards. 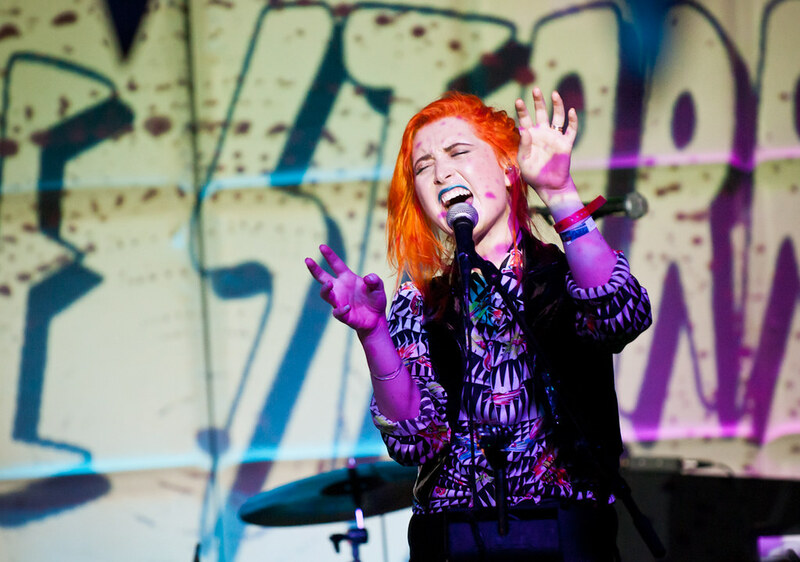 But her sound was more than enough to make her stand tall, filling the room with her warm synth-pop sound. Banoffee, also known as a desert pie filled with cream, bananas and toffee is exactly what the singer Banoffee (aka: Martha Brown) sounds like - sweet, sugary and it fills you up with happiness. There's always room for pie or in this case Banoffee. 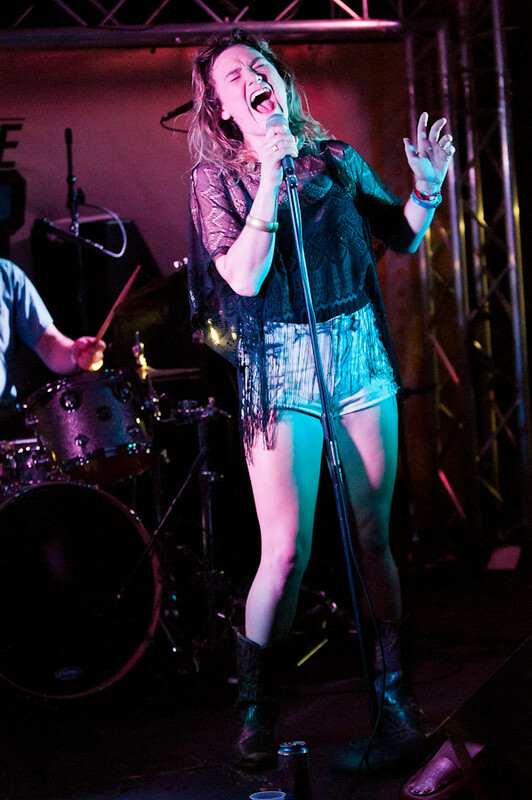 Gossling, another Australian singer, played in Taix's Champagne Room. Bathed in saturated blue lights, Gossling's folk/pop melodies are highlighted by her stunning and hypnotic vocals. She proves that songs can be dramatic and powerful with the simplest of melodies. Gossling's voice is the first thing that draws you to her; weathered and shiny to the point of showing rust - just like an aged wind chime gently blowing in the wind. It's peaceful and relaxing but also pierces soothingly through the air which also describes another Aussie, Phebe Starr. 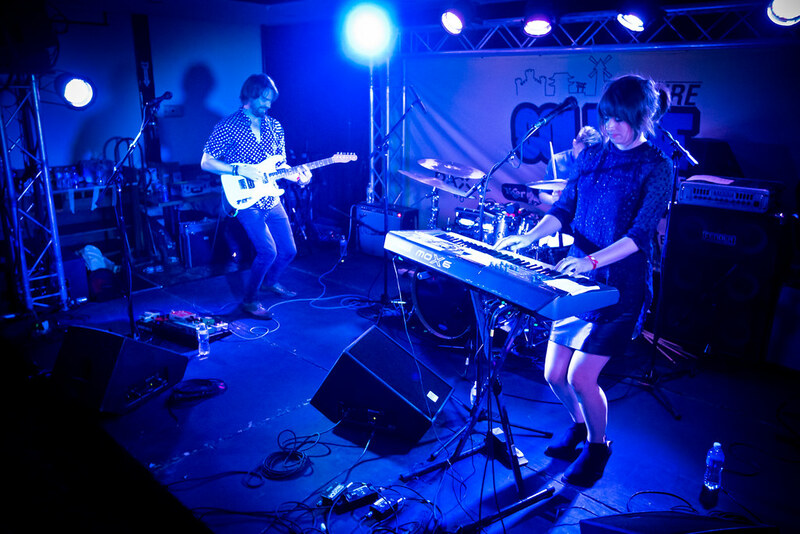 Gossling performs in Taix's Champagne Room during Culture Collide. But instead of serene and calmness, Starr's songs soar, backed up by her own powerful vocals. Starr showcases her sonic landscaping, layering a complicated web of sounds, marrying her synth, drum machine and vocal looper into a seamless track. And what she makes is something beautiful and modern. It's like watching a live art exhibit transform and change shapes right in front of your eyes. She's definitely colorful to say the least. 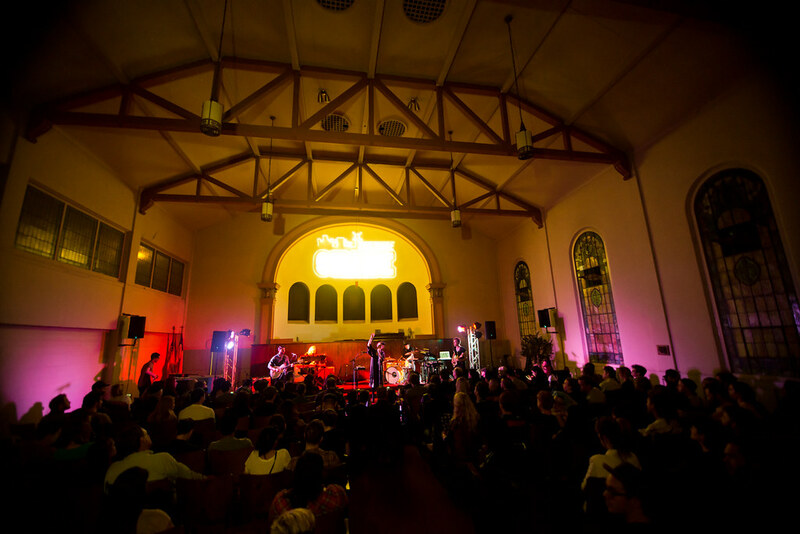 From Australia, we travel north to catch Sweden's Nina Persson, lead singer of The Cardigans, performing across the parking lot at The Echo Park Methodist Church which began to fill up with anticipation. It's been nearly 10 years since The Cardigans released their last album Super Extra Gravity in 2005. But those waiting for a Cardigans album were rewarded when Nina Persson released her solo album Animal Heart via End Records earlier this year. The Church was ideal for Persson as it made her performance feel like a religious experience especially when she sang her hit singles "Animal Heart" and "Dreaming of Houses." She even made a comment about how quiet it was and wondered if everyone was afraid of angering a higher power. The final day of Culture Collide started in the afternoon with a good ol' Aussie BBQ at The Echo featuring Australia's best artists. Aussie Banoffee performs at The Echo. Rapper and hip-hop artist Tkay Maidza was another Australian I didn't want to miss out on. After overhearing a few excited fans the day before talking about Tkay's upcoming show at The Echo, I knew I needed to watch her performance. And I wasn't disappointed. 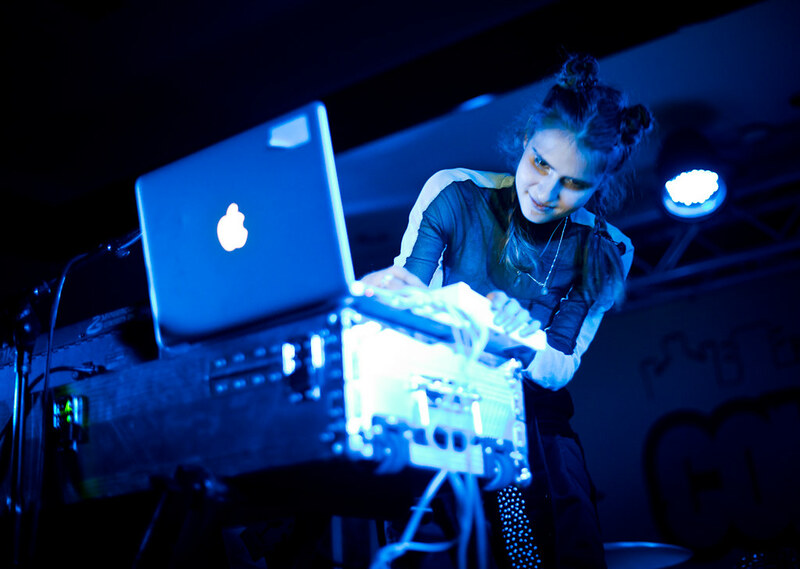 She mixes out of this world, starry, electro-beats and rhymes with infectious energy. And get this. She's only 18. Being this talented so young, there's no telling how far she can go. Complex recently premiered her new animated video for "Switch Lanes" which is off her mixtape Switch Tape. 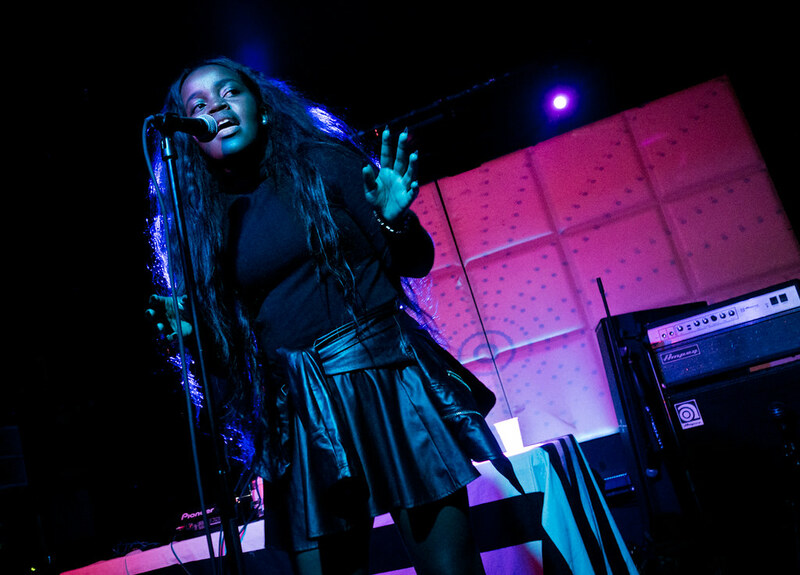 Australia's Tkay Maidza stormed the Echo with her electric energy. No Sinner from our neighbors up north were hard, unapologetic and just badass - especially lead singer Colleen Rennison who has a weathered yet powerful voice that's sounds like she's lived a lifetime’s worth of pain. The only thing is, she's only 26. So when you listen to her sing, the rawness in her voice, the hurt, the pain, the yearning you hear will just blow you away and you try and imagine where, deep in her gut, she pulls her energy from. No Sinner, from Vancouver, is good ol' classic blues/rock. Heavy and guitar driven, No Sinner started at the Champagne Room with Rennison belting out her vocals. She didn't care, nor did she notice, a near-empty room while she performed. But that didn't last. Curious people outside couldn't help but hear the Joplin-esque vocals coming from inside. After a few songs, the Champagne Room at Taix was nearly filled with people jamming along with No Sinner. Every year, Culture Collide ends the three-day fest with a block party outside complete with a large Ernie Ball stage out in the parking lot. This year, bands from eight countries would play on that stage including Takeoffs and Landings, the five-piece band from Peru. They just formed late last year and have yet to release an album so Culture Collide attendees are fortunate that they will the very first to see this group play live. Their sound? More like alternative rock with a dash of shoegaze as evidenced by their wall of sound with mysterious synths ever present in the background. Takeoffs and Landings, consisting of Dennis (guitar), Sergio (guitar), Christopher (drums), Naama (vocals), and Christian (bass), were one of the few bands I actually saw twice during Culture Collide. They were that good. Currently, they're recording their first album which is set to drop later this year. Alternative rockers Love X Stereo from Seoul, Korea. Danceable Alternative Rock best describes Love X Stereo. Based out of Seoul, Korea, Love X Stereo sounds like a blast from the past, fusing 90s sunny, alternative rock with a more modern dance-pop beat. K-Pop this isn't . Love X Stereo is made up of Toby (guitar), Sol (bass) and Annie (vocal and synth) who uses electro beats to drive their songs forward. And because of this, their infectious songs created a buzz that had the music industry talking. That, in turn, gave them the opportunity to share the stage with KDMS, Asobe Seksu and, soon after, were awarded featured spots at SXSW and New York's CMJ Music Marathon. And finally, all the way from Manchester, was the all-girl group PINS. 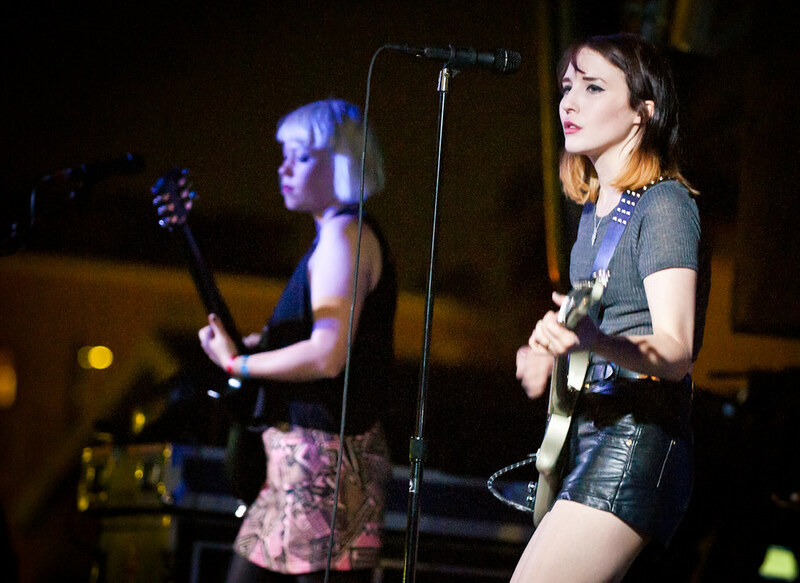 I call them UK's version of the Dum Dum Girls. Both have attitude. Both prefer the dark look in their wardrobe. But where the Dum Dum Girls are more dark, dreamy and moody, PINS are more heavier on the dark and moody with piercing guitars but with pop undertones, the unpolished sound of PINS projects a rawness and truthfulness in their songs. They call it 'dark-pop.' 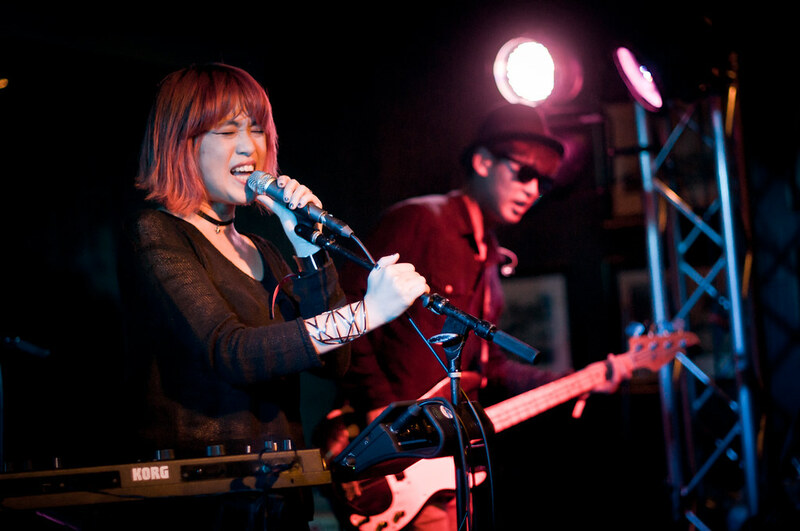 And on the strength of their debut EP LUVU4LYF, PINS were able to tour Europe and followed that by releasing their full-length album Girls Like Us a year later to critical praise. UK's PINS closing out Culture Collide on the last day. This year, Culture Collide, which was born out of Filter Magazine founders Alan Sartirana and Alan Miller, saw some big changes. Filter folded this summer and the two co-founders decided to go separate ways. Sartirana left to start another music and culture magazine called Anthemic while Miller stayed on to continue Culture Collide brand. Now in it’s fifth year, Culture Collide continues to grow, adding two festivals in San Francisco and New York. And although the two original founders split ways, Culture Collide will always be a music celebration for music lovers put on my music lovers. Click HERE to see even more pics. THE STAVES PREMIERE NEW TRACK "OPEN"
ETANA DEBUTS NEW VIDEO "RICHEST GIRL"